Well, as experienced home canners we have been used to using glass. We did not want to use cans because, in our opinion, they can lend a different than intended flavour to the foods they contain. We wanted our smoked oysters to taste as flavoursome and remain as succulent when they are opened as on the day they were packaged, so we decided on Retort Pouches. Retort Pouches are a flexible and lightweight packaging option that utilize a similar cooking process to canning, but the result is proven superior food quality as well as health and environmental benefits. Retort Pouches do not need to be cooked as long as cans, which results in the oysters not having to be overcooked. The smoked oysters therefore retain their nutritional value and the need for preservatives or high amounts of sodium and sugar in the recipes is eliminated. 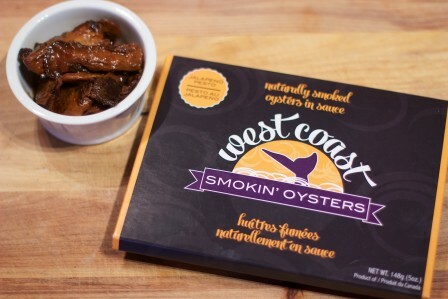 Sourced from the Fanny Bay area on the east coast of Vancouver Island, our West Coast Smokin’ Oystersare naturally smoked and prepared in SIX different delicious sauces. Once the smoked oysters are sealed in Retort Pouches they stay moist, tender, and infused with the gourmet sauces they are paired with. Once you have placed an order with West Coast Smokin’ Oysters and your oysters arrive, you can store them in your pantry until it is time to use them. Only after the Retort Pouch has been opened is refrigeration required, as no preservatives are used in our smoked oysters. Because our products are processed in Retort Pouches they are considered to be a shelf-stable/long-life product, meaning they can be kept on the pantry shelf, without any refrigeration required, for at least FIVE years! However, once your West Coast Smokin’ Oysters have arrived we would be amazed if any customer could wait even five minutes to eat them, let alone five years, but the effectiveness of our special Retort Pouches makes such a storage option available if required. 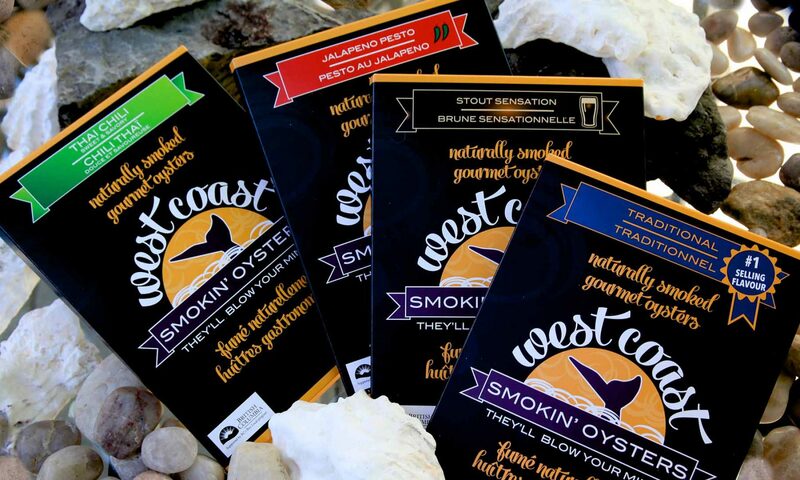 West Coast Smokin’ Oysters store extremely well, so why not take advantage of one of our special package deals so you always have them available for those unexpected visitors, or late night smoked oyster, cheese and cracker cravings?